To conduct business in an honest and ethical manner. To be a leader in the community as a representative of the nursery industry. To share knowledge with fellow nurserymen and to respect other members in the industry. To be fair and truthful to employees, suppliers, and customers. To abide by the regulations of the Office of Plant Protection, Virginia Department of Agriculture and Consumer Services, and to follow the American association of nurserymen Standards for nursery Stock. To follow the Standardized Landscape Specifications for the Commonwealth of Virginia and encourage others to do so. 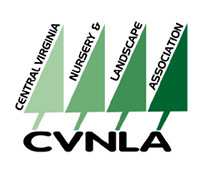 The name of the association shall be “The Central Virginia Nursery and Landscape Association”. The Central Virginia Nursery and Landscape Association is a nonstock, nonprofit association, incorporated and organized under the laws of the Commonwealth of Virginia. The term “nursery industry” or “industry” includes any individual or firm involved in the growing, buying, selling, design, etc. of horticultural products. a. To promote the common business interests of those engaged in the nursery industry. b. To promote acquaintanceship and cooperation between those engaged in the industry and allied interests. c. To foster and promote a greater use of nursery products. d. To support the improvement and standardization of nursery products. e. To promote the advancement of lawful and fair trade practices, customs and usages. f. To increase the gathering, analysis and dissemination of information of general interest, and the securing and presentation of the views of the members to the public, governmental agencies, and to other organizations. g. To foster cooperation with governmental agencies to mold policies on legislative and administrative matters in the interest of the public and the industry. h. To promote the exchange and sale of nursery stock. i. To promote the exhibition of plants, fruits, flowers or other articles produced by or used in the industry. j. To engage in any lawful activities which will enhance the efficient and economic progress of the industry and apprise the public of its scope and character. Individuals, partnerships and corporations holding membership at the time of the adoption of these bylaws shall constitute the present members in the classification now enjoyed. Section 1 – Classes of Membership. The association shall have the following classes of membership: Regular, Associate, Advisory/Educational, and Honorary. a. Regular Membership. Shall consist of those firms or individuals who are affiliated with the nursery and landscape industry. Regular Members are entitled to vote on matters of both policy and procedure. b. Associate Membership. Shall consist of individuals in related fields of the nursery and landscape industry. Associate Members are not entitled to vote on matters of both policy and procedure. c. Advisory/Educational Membership. Shall consist of individuals related to the nursery industry in either an advisory or educational full time capacity. Advisory/Educational Members are entitled to vote on matters of procedure only. d. Honorary Membership. Shall consist of those individuals so appointed by the Board of Directors of the association. Honorary Members are entitled to vote on matters of both policy and procedure. a. Applicant must be sponsored by an active member in the Association and must have been engaged in the nursery business as defined in Article II under the Constitution. b. Applications are to be submitted to the Executive Secretary who shall make proper investigation and report his/her findings to the Board of Directors at a regularly scheduled Board meeting. Membership for the prospective member(s) shall then be voted on by the Board of Directors. Executive Secretary, he/she will be dropped from the Association membership. Section 2. – Sale of Business. Any member shall be automatically terminated by the sale and transfer of ownership of a business. Reorganizations of the business structure of a member firm, such as incorporation or additions of partners that maintains some of the previous owners, shall not constitute a sale and shall not require termination of membership. Section 3. – Misconduct Termination. Any membership may be suspended or terminated for cause. Sufficient cause for suspension shall be violation of the bylaws or any lawful rule or practice duly adopted by the association, or any other conduct prejudicial to the interest of the Association. Suspension or expulsion shall be by two-thirds vote of the entire membership of the Board of Directors; provided that a statement of the charges shall have been sent by certified or registered mail to the last recorded address of the member at least twenty days before final action is taken thereon. This statement shall be accompanied by a notice of the time and place of the meeting of the Board of Directors at which the charges shall be considered and the member shall have the opportunity to appear in person and/or to be represented by counsel to present any defense to such charges before action is taken thereon. Section 1. – Due Date. The annual dues for each member of the association are due by July 1 of each year. Section 2. – Nonpayment. CVNLA Members who fail to pay their dues by July 1st and having been contacted at least one time, shall, without further notice, be dropped from the rolls and thereupon forfeit all rights and privileges of membership. However, the Board of directors may prescribe procedures for extending the time for payment of dues and continuation of membership privileges upon request of a member who can show good cause for nonpayment. Section 1. – Officers. The officers of this association shall be: President, Vice- President, Treasurer, Secretary and the immediate Past President. The officers, Executive Secretary, and duly elected Directors shall constitute the Board of Directors with full right to vote with the President exercising his right to vote according to “Robert’s Rules of Order.” The Executive Secretary of the Association shall be an ex-officio member of the Board of Directors. Section 2. – Directors. Two Directors shall be elected for a term of two years and ideally will serve on the board for one year before becoming eligible to serve as an officer of the association. In rare occasions and at the discretion of the Board, an individual may become Secretary, Treasurer, or Vice President of the CVNLA without serving first as a Director. a. Control and direct the affairs of the Association. b. Determine policies of changes therein within the limits of the bylaws. c. Actively promote the purposes of the CVNLA. d. Provide for Trustees of the Association as may be deemed necessary to oversee the investment of funds which shall have been designated as Trust Funds and to oversee the disbursement of proceeds from such funds according to guidelines presented to and approved by the membership of the Association. e. Have discretion in the disbursement of the general funds of the CVNLA and adopt such rules and regulations for the conduct of its business as may be deemed advisable, and may, in the execution of the powers granted, appoint such agents as it may consider necessary. f. Any officer of the Corporation may be required to give such bond with such security as the members may prescribe. Section 4. – Quorum. A majority of Board of Directors of the Corporation shall constitute a quorum for the transaction of business at all Board meetings. A majority of said quorum shall decide and question that which may come before said meeting unless otherwise provided by law. Any number less than a quorum may adjourn any meeting until a quorum be present. Section 5. – Meetings. The Board shall meet upon call of the President at such times and places as designated, and shall be called to meet upon demand of a majority of its members. Notice of all regular and special meetings of the Board of Directors shall be sent by email to each member of the Board by the Executive Secretary at least three (3) days previous to the time fixed for the meeting. All notices of regular and special meetings shall state the purpose thereof. Section 6. – Vacancies. Any vacancies that may occur on the Board may be filled by the remaining members of the Board for the unexpired term. The newly elected director shall be placed at the bottom of the ranking of officers and directors. Section 7. – Agents and Attorneys. The Board of Directors shall have the power to employ from time to time such employees, agents, and attorneys as it may deem necessary for the conduct of the affairs of the Corporation and to fix their compensation. Section 1. – Nominating Committee. A nominating committee agreed to by the President shall present the slate of nominees for the upcoming Board at the April or May Membership Meeting. Section 2. – Election. Date of Officers and Directors The officers and one director shall be elected annually by the general membership on the second Tuesday in May of each year by a quorum of members present. Section 3. – Election of Officers. All officers shall be elected annually by the members and shall serve for one year or until their successors are elected and qualified, unless removed by the members. At the discretion of the Board, any two offices, other than the office of President, may be held by the same person. Any officers of the Corporation may be required to give such bond with such security as the members may prescribe. Section 4. – Election of Directors. Directors shall be elected for a two year term, with the election of each director occurring on alternate years. accordance with these bylaws; to sign all contracts, leases, mortgages, deeds, conveyances and other documents of the Corporation. The President shall ensure that all officers of the Corporation perform their duties faithfully, and shall have general supervision and direction of the affairs of the Corporation and its employees. The President shall have authority to buy and have bought such personal property as deemed for the best interest of the Corporation and to carry out its purposes. The President is authorized to delegate such authority as deemed advisable to the other officers and employees of the Corporation. The President shall make to the annual meeting of the members of the Corporation a report covering the affairs of the Corporation for the preceding fiscal year, which shall end on June 15th of each year, together with such suggestions as deemed proper. The President shall have the right to vote any stock or securities held by the Corporation in any other corporation. Section 2. – Vice-President. In the absence or disability of the President, the Vice-President shall perform any or all the duties of the President and have such other duties as the President or the Board may assign. The Vice President is the Co-Chairman of the Maymont Flower & Garden Show and the Co-Chairman of the CVNLA monthly meetings; responsible for speakers. The Vice-President is responsible for the annual Christmas Party and June Picnic arrangements. Section 3. – Treasurer. The Treasurer shall have the custody of all monies and securities of the Corporation and shall deposit or have deposited the same in the name and to the credit of the Corporation in such depositories as may be designated by the Board of Directors of the Corporation. The Treasurer shall keep or have kept a full and accurate account of the receipts and disbursements in books belonging to the Corporation, and shall disburse the funds of the Corporation by check as provided in these Bylaws or any amendment thereof. The Treasurer shall render such reports to the President and Board of Directors as may be incident to the office, or may be required by the Board of Directors. The Treasurer is responsible for collecting money for no-shows at the monthly meetings. Section 4. – Secretary. The Secretary’s duties shall relate to the preparation of minutes at the Board Meetings and general membership meetings. Section 5. – Executive Secretary. The administration and management of the Association shall be a salaried staff person, employed or appointed by, and directly responsible to the Board of Directors. The Executive Secretary shall manage and direct all functions and activities of the Association and perform such other duties as may be specified by the Board. The Executive Secretary is Chairman of the Short Course and the VNLA Certification Review Course. The Executive Secretary shall also act as the Historian. Section 6. – Ethics. The Board of Directors is to act as the ethics committee and shall promote a high standard of trade practices by the members of the Association, both among themselves and between the members and the public. This committee shall receive, investigate and initiate complaints to the Board of Directors of any violations of the CVNLA Code of Ethics attached hereto. Section 7. – Additional Committees. Committees shall be created by the President and/or the Board of Directors as is deemed necessary to implement the Strategic Plan of the Association. The Chairman of each committee shall be appointed by the President of the CVNLA at the beginning of the fiscal year or upon the creation of the committee. The term of office for committee chairmen shall be for one year or, in the case of special committees, until the purpose of the committee has been accomplished; but not to overlap into the next fiscal year. Section 1. – Deposits and Withdrawals. Checks of the Corporation shall be signed by either of the two (2) persons authorized by resolution of the Board to do so. Notes, bonds, and other instruments may be signed by officers who have been authorized so to sign by resolution of the Board of Directors. Section 2. – Fiscal Year. The fiscal year or the Corporation shall end on June 15th of each year. Section 3. – Application Fee will be $25.00 for initial submission of application no matter which category of membership is applied for. This is in addition to the $50.00 annual dues for regular membership and $25.00 for education membership. Section 4. – Annual Dues. Annual dues for each membership category shall be set by the Board of Directors payable by July 1 of each year. Annual dues as of May 8, 2012 are set as follows; Regular and Associate membership–$50.00; Advisory/Educational membership–$25.00. incurred by him in connection with such action, suit or proceeding, except only in relation to any claim, issue or matter as to which such person shall have been finally judged to be liable for his gross negligence or willful misconduct. Each such indemnity shall insure to the benefit of the heirs, executors and administrators of such person. Any indemnity under subsection paragraph above shall (unless authorized by a court) be made by the Association only as authorized in the specific case upon a determination that the officer or director was not guilty of gross negligence or willful misconduct in the performance of his duty and, in case of settlement, that such settlement was, or if still to be made is, consistent with such indemnity and the best interest of the Association. Such determination shall be made (I) by the Board of Directors of the CVNLA by a majority vote of a quorum consisting of members who were not party to such action, suitor proceedings; (II) if such a quorum is not obtainable, or, even if obtainable, if a quorum of disinterested Directors so directs, by independent legal counsel in a written opinion; or (III) by the membership of the CVNLA. If the determination is to be made by the Board of Directors, it may rely, in all questions of law, on the advice of independent counsel. Expenses incurred in defending an action, suit or proceeding, whether civil, administrative or investigative, may be paid by the Association in advance of the final disposition of such action, suit or proceeding as authorized by vote of the persons provided in subsection II of this section, upon receipt of an undertaking by or on behalf of the director or officer to repay such amount unless it shall ultimately be determined that he is entitled to be indemnified by the Association as authorized in this section. The right of indemnification provided by This Section shall not be exclusive of any other rights to which any Officers or Directors may be enticed, including any right under policies of insurance that may be purchased and maintained by the Association or others, even as to claims, issues or matters in relation to which the Association would not have the power to indemnify such Officer or Director under the provisions of this Section. The Association may purchase and maintain, at its sole expense, insurance against all liabilities or losses it may sustain in consequence of the indemnification provided for in this Section, in such amounts and on such terms and conditions as the Board of Directors may deem reasonable. The Association shall use its funds only to accomplish the objectives and purposes specified in these bylaws, and no part of said funds shall inure, or to be distributed, to the members of the Association. On dissolution of the Association, any funds remaining shall be distributed to one or more regularly organized and qualified charitable, educational, scientific, or philanthropic organizations to be selected by the Board of Directors. The power to make, alter and repeal bylaws of the Association shall be vested in the Board of Directors of the Association, provided however, that any bylaws adopted by the Board of Directors may be repealed or altered by a majority vote of all active members of the CVNLA present at any monthly or special meeting, and provided further that any bylaw adopted by a majority vote of all active members of the Association present in any monthly or special meeting shall not be subject to alteration or repeal by the Board of Directors, if such bylaw specifically denies such right.